Nalgene 2125-4000 Plastic 4L Heavy-Duty Autoclavable Vacuum Polypropylene Bottle . New Life Scientific, Inc. This bottle is in great condition, but no cap is included. It uses a #83B cap. 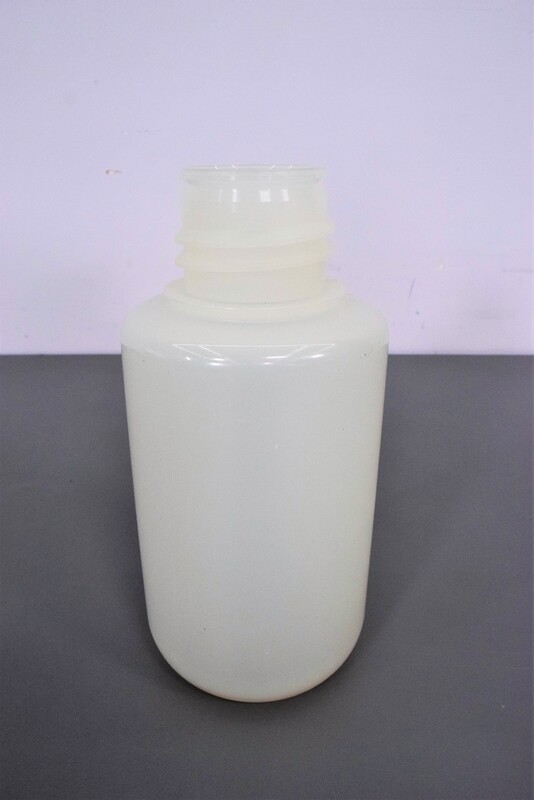 It is a rugged thick walled bottle that is used as a waste trap or reservoir. This is an autoclavable bottle that has a temperature range of -100ºC to 120ºC.